Ahead of a fifth day of talks between No. 10 and the opposition on Tuesday, the Daily Telegraph reports that Prime Minister Theresa May is considering amending her withdrawal agreement to include a Commons vote on authorizing a second 'confirmatory' Brexit referendum as a ploy to break the deadlock over a revised Brexit deal. With the prime minister planning to head to Europe to meet with Angela Merkel and Emmanuel Macron, the word out of Brussels is that the Europeans are leaning toward a longer Brexit 'flextension' instead of the short-term Article 50 delay that May has formally requested,. However, the prime minister is still reportedly trying to hammer out a deal with the opposition ahead of a European summit that begins on Wednesday. May reportedly discussed the possibility of the confirmatory vote with a few members of her cabinet during a meeting on Monday. Her team is confident that they would have the votes to win the vote. Commons leader Andrea Leadsom was said to be "absolutely furious" over May's negotiations with Labour. Over the weekend, May reportedly discussed a compromise with Labour that would have included a "future lock" on any deal making it impossible for May's successor to tear it up (some have jokingly referred to it as a "Boris lock"). But Labour was ultimately wary that such a deal could be reached. Meanwhile, Shadow Brexit Secretary Keir Starmer said last night that May's negotiating strategy has mostly consisted of "telling us everything we had ever wanted" is already in her deal. Starmer added that negotiations were focused on a measure to vote on a second referendum, and the above mentioned 'future lock'. "The exchanges with the Government have been serious, but our shadow cabinet expressed frustration that the Prime Minister has not yet moved off her red lines so we can reach a compromise. The key issues that we must see real movement on to secure an agreement are a customs union with the EU, alignment with the single market and full dynamic alignment of workers' rights, environmental protections and consumer standards." While May is convinced that she could win a vote on holding a second referendum, losing the vote wouldn't be the first major miscalculation since she arrived at No. 10. 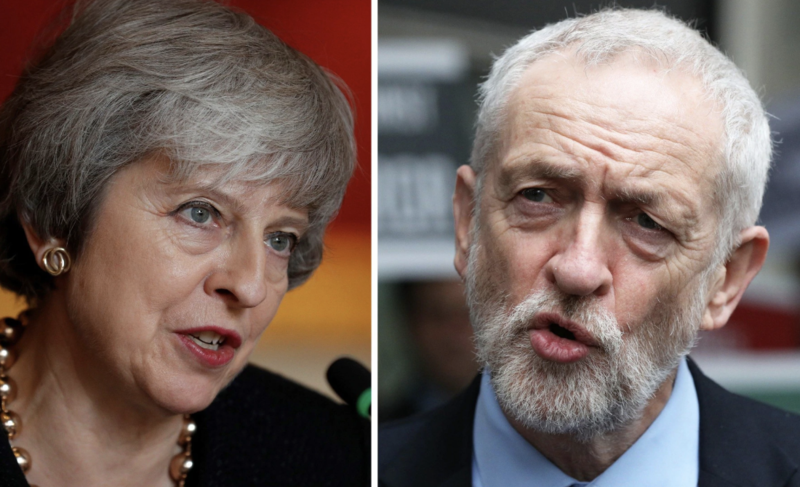 Though, considering recent polling showing a majority of Brits just want to leave without a deal on Friday, even if it won the vote, a second referendum might not be the political slam dunk that Labour hopes it would be.